It has been a lego week for me! 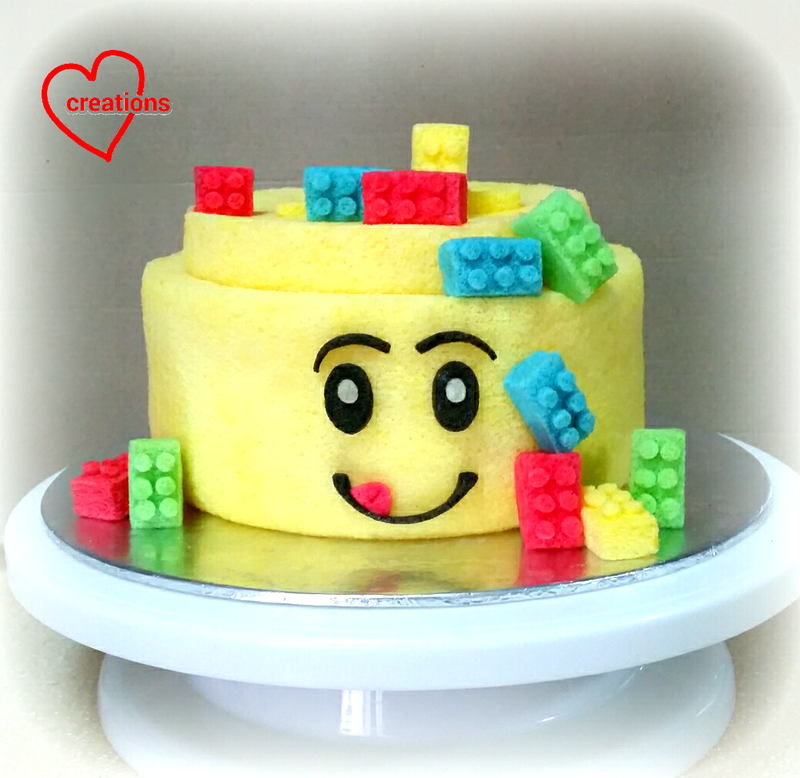 I made a Legoman Head Chiffon Cake with small chiffon blocks and a Lego (blocks) Chiffon Cake for my friend and school besties’ kids who are both Lego lovers. The Legoman Head is baked in a 7-inch chiffon tin and naturally coloured like my Miffy Vanilla Lemon Chiffon Cake. I filled the centre with marshmallows before covering up with Lego lid. 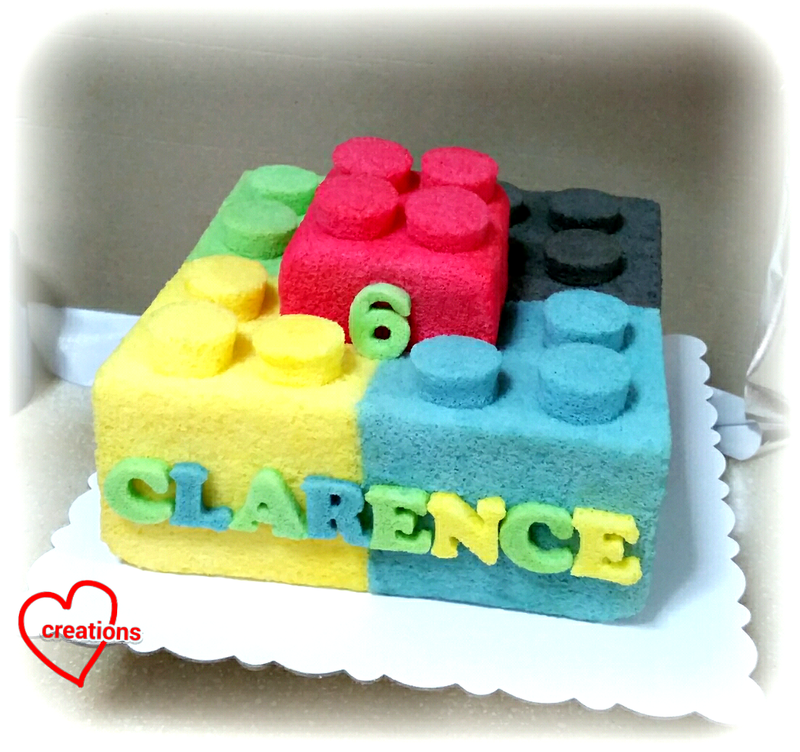 The small Lego pieces were cut out from thick and thin chiffon cake baked as layers in baking trays. To make use of more natural coloring, different coloured blocks were differently flavoured according to them: green blocks - pandan, the red blocks – strawberry/red yeast, the black - charcoal/chocolate, the blue – blue pea flowers (wilton blue was needed). My bestie managed to guess all the flavours apart from the flowers haha. The assembly of the tiny blocks was really tedious as the pieces were tiny. I cut the blocks with knife and small circles using a straw and glued them on with melted marshmallows. Better to invest in some Lego molds next time! The big Lego block chiffon cake was baked in a square chiffon tin as I had made previously (thanks to dear Evon for her tin!). Thank God they were well-received!